Lipsticks can easily be counted as the most beautiful of make-up products to have been created. But equally tricky to take care of! From picking the right shade to the right formula for your lip, choosing the right lipstick can be exhausting for anyone. So how do you make them stay longer on your lips after all that effort in putting it in the first place? Here are 4 pro-tips on making your favourite lipstick last longer! Don’t ever make the mistake of applying lipstick on chapped lips! Why? Firstly because it looks bad and secondly because you’ll be wasting your lipstick just trying to fill in those cracked lines. Applying lipstick and then a lip balm makes you want to bite your lips and peel it off when they dry out. Prime your lips with a cream base before you go for a lipstick or just skip lipstick for the day. We’ve heard about going bare-lip aka au-natural is all the trend nowadays. There are a gazillion lipsticks in the market, so how do you know what’s the right one for you? From the right shade to the right feel, picking the right lipstick brand and lip colour can be tiring. A pro-tip is to apply a swatch on your hand and wait for it to dry. Then dab an alcohol-based toner on the edge and see if it fades. If it does then that’s clearly not the lipstick for you. Line your lips to make a defined statement. It started out as a small add-on but has now graduated to being a look of its own! Lip liners help you stay away from lipsticks. Opt to use a lipliner as a filler since they’re pigmented and tend to stick on your lips longer than lipsticks. 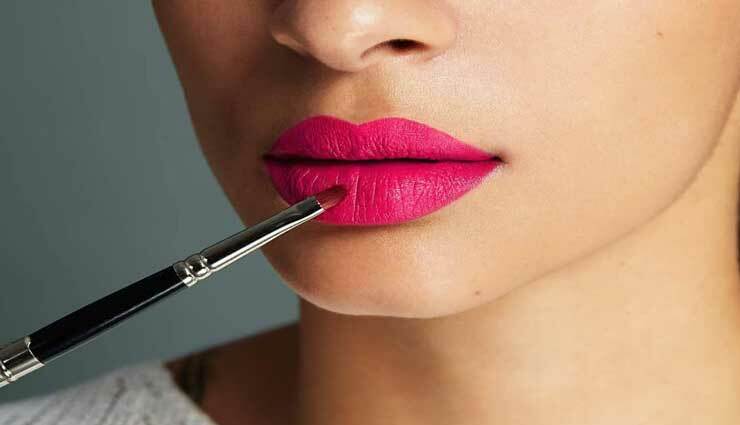 A lined lip helps your lipstick from bleeding at the edges as well. If you want to wear lipstick, you’ve got to learn to eat the right way. Eating anything with lipsticks can be tricky. Especially if they are oily or watery. If it’s an important situation such as a date or meeting, avoid eating oily, watery and mushy foods; they’ll only make your lipstick run sooner than expected. Remember to take small bites and re-apply your lipstick if you’ve lost parts of it in the process of eating.